The official Inaugural Session of the Central-Eastern European Breast Cancer Surgical Consortium (CEEBCSC) was held at the 38th ESSO Congress on Wednesday 11th of October. Breast cancer, the leading cause of female morbidity and mortality, is a global health problem. In Europe the introduction of populational breast screening programs, the establishment of standards for the training of specialised health professionals dealing with breast cancer, the standardised requirements of breast units or breast centres, the quality indicators in breast cancer care, the evidence based medicine and the international consensus conferences have succesfully created, audited effective European breast cancer care systems, supported by the European Parlament as an essential part of the major public health goal. Different incidence, mortality and survival rates are due to different risk factors, availability of organised screening programmes and oncological health systems, especially access to special breast units and centres represents the differences between the regions and countries of the continent. According to the recent trends and predictions in breast cancer mortality in Europe for 2020, published by Carioli G et al. (Breast, 2017. ), overall, European Union (EU) breast cancer mortality rates declined from 17.9/100,000 in 2002 to 15.2 in 2012. The predicted 2020 rate is 13.4/100,000. Within the EU, declines were larger in the United Kingdom and other Northern and Western European countries than in most of Central and Eastern Europe. Breast cancer mortality is predicted to rise in Poland, where the predicted 2020 rate is 15.3/100,000. The authors concluded that the overall favourable breast cancer mortality trends are mainly due to a succession of improvements in the management and treatment of breast cancer, though early diagnosis and screening played a role, too. Improving breast cancer management in Central and Eastern Europe is a priority. Differences in national health policies, in healthcare systems, in economical and financial resources, in risk factors and cultural and historical traditions could have been counted as co-factors, responsible for worse oncological results in the developing countries of Europe. In order to facilitate the evolution from the level of general surgery to the specialised oncoplastic breast surgery in Central-Eastern Europe association of authoritative national institutes, clinics and centres such as well experienced professionals should optimally join in a common scientific and clinical platform to increase the efficiency and speed of modernization of breast surgical care in countries of Central-Eastern Europe. 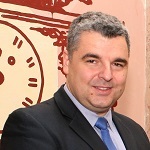 Therefore in 2017 the Department of Breast and Sarcoma Surgery of the National Institute of Oncology (NIO), Hungary initiated the establishment of an official CEEBCSC, and determined the main goals and sought (and is seeking) partners to join and actively contribute to accomplish the professional goals. all patients should be offered breast surgical procedures that lead to best oncological and aesthetic outcomes on a long term. to promote the accreditation and certification of breast surgeons according to European standards (European Union of Medical Specialists (UEMS)- Fellow of Breast Surgery (FEBS) examination). to publish a textbook of modern breast surgery representing aspects of the region as well (which is on the way already) and to translate it to local languages, even with modification, in order to solve the language problems characteristic for Central-Eastern Europe. In Central and Eastern European countries, where economic and health-care performance is relatively weak, social organization and the emancipation of women are still emerging, the evolution of breast cancer surgery is mandatory. 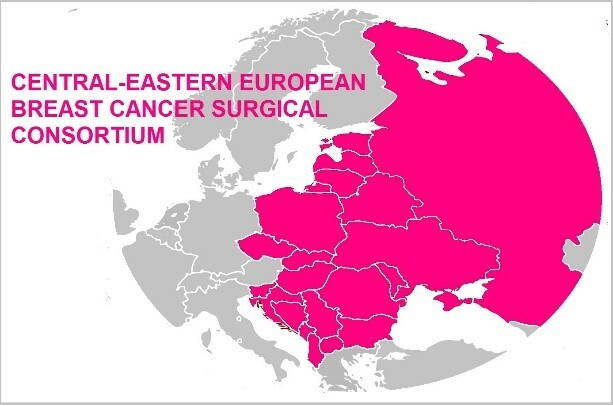 The establishment of a well perfoming Eastern-European association allows us professionals to make active contact, science, clinical practice with joint facilities to let us give the best surgical care to our breast cancer patients.